Let go of using your body to get into the posture. Instead, use the posture to have an experience of your body. Classical and authentic, these classes offer a mix of static and flowing sequences to help you energise and unwind. Physically they target the Yang tissues/systems in the body including: muscles, cardiovascular system, digestive, lymphatic and endocrine system. 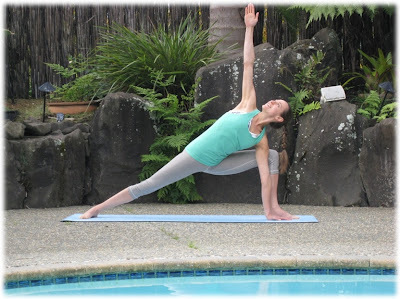 Often energetic elements (chakras, koshas, vayus, mudras and bandhas) are introduced, highlighting the multi-dimensional benefits of yoga and offering a deeper connection to the practice. Each class is tiered to accommodate all levels with students being guided and encouraged to find their own balance of challenge and restoration. Breath awareness is instructed throughout. This practice is a great compliment to all other styles of yoga, targeting the Yin Tissues in the body; the ligaments, joint capsules and fascia. As a floor based practice, this class is composed of long held postures (3-5 minutes) with the body being supported by a multitude of helpful props. Often energetic aspects of the practice are highlighted as we stimulate the meridians (energy channels) that lie within the fascia. There is no strength work, no balance, no co-ordination or specific breath involved. 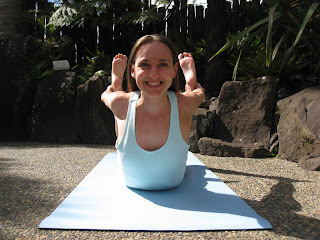 Yin Yoga is perfect antidote to modern day life; offering you the chance to be instead of do! Initially been drawn to yoga for it's many physical benefits (see About), the approach to my own practice and how I teach has definitely evolved over the years. For me, yoga is less about achieving perfectly executed postures and more an opportunity to simply meet yourself fully on the mat. Instead of using the body to get into the poses, I now see the postures as a signposts for ways that we might inhabit our physical forms with more space, more ease and more appreciation. The practice is an opportunity to see where in our bodies, minds and lives we are holding on, and where we could learn to let go a little more. A great teacher once said that Y.O.G.A actually means Your Own Great Awareness, and for me, that’s never been truer. Oh, and just in case you were wondering…. You don’t have to be flexible or strong to do yoga, just come! 'Gemma has really helped me rebuild my body after bowel cancer. Her knowledge and intuitive nature is amazing and she is always willing to share fabulous information about how our bodies work and how to attain harmony within our minds and our body'.